Selling your home should be an exciting time in your life, but it can also be a time of stress and uncertainty. Choosing the right Realtor is the first step in ensuring that your investment in your home pays off, knowing the decision you made was the right one, the process was handled professionally and the outcome for you was desireable. Our level of service and experience allows you to focus on your move while we thoroughly manage the sale of your home from our initial consultation to the final closing, and beyond. We pride ourselves on repeat business and, during this process, you will come to understand why. In today’s market, over 92% of all buyers begin their home-buying process by searching the internet. Having your home marketed professionally is the key to catching buyers quickly; listed below are some of the tools we'll employ to capture and keep those buyers. Schedule a professional photographer to take photos of your home, including production of a “virtual tour"
Please feel comfortable that when choosing us, your property will be marketed and advertised with the level of professionalism it deserves. From extensive internet advertising, networking within the community, direct mail campaigns, and coordinating and attending every showing, you'll receive the service that you should expect from your real estate professional. 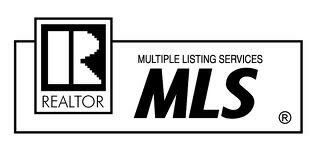 Representing only a select number of buyers and sellers, our clients receive the personalized attention they deserve. Because of the "boutique" nature of our business model, we're able to provide to our clients a higher level of personal service and a commitment to building enduring relationships. Working as a team, our agents are supportive of each other and our clients and will work together to get your property sold for the best price and in the shortest amount of time.